Some great insights on what an editor does, By Mandi Bierly, EW.com. Leading up to Sunday’s Oscars, EW.com will take a closer look at four categories that moviegoers may mistakenly think of as “technical.” First up: Film Editing, with insights from Life of Pi’s Tim Squyres, Silver Linings Playbook’s Jay Cassidy and Crispin Struthers, and Zero Dark Thirty’s Dylan Tichenor and William Goldenberg, the latter of whom also cut Argo, making him one of only a handful of editors in Oscar history to compete with himself. What kinds of decisions are the editors making? We asked them to walk us through scenes to show us. Great directors and actors give editors a range of performances to choose from. “So part of the editor’s job is to go through these performances and calibrate which is the right tone, which is the right level of intensity to use,” says Crispin Struthers, a first-time nominee for David O. Russell’s Silver Linings Playbook (the first film in more than 30 years to have acting nominees in all four categories). The early scene he and fellow editor Jay Cassidy, a second-time nominee after Into the Wild, point to is the fight Pat (Bradley Cooper) and Pat Sr. (Robert De Niro) have when a hopeful Pat returns from a run and seeing his friend Ronnie and tries to call his ex-wife, who has a restraining order against him. Cassidy: There was a tremendous amount of dialogue that was added on the set. He tries to call his ex-wife and he gets a disconnected signal, and then he tries to call Ronnie and leaves a message for Ronnie, and Pat and his father begin to fight over the handset of the phone, and the fight goes on for about 2 minutes. David shot a tremendous range of performance. In doing the first cut, we tended to do the most extreme version of a scene first. The Bob De Niro in that first cut, boy, you saw a Bob De Niro from Raging Bull. It was creepy. Cassidy: And it was five minutes long. It could never stand at that length, but it’s the only way where the editing is a continuation of a discovery on the set of how this behavior should be calibrated in the film. You sort of begin with the extreme and then peel it back. What was interesting is that it got peeled back to about a 2 minute and 26 second scene, and then we didn’t change it for about 2 months, and it was always about De Niro and Bradley fighting over the phone and “Take your medication, take your medication.” Then we got to the first preview, and we took it out completely. So the first time we previewed the picture, De Niro simply complains about the Redskins beating the Eagles and the doorbell rings, and it’s 12 seconds long. This 5-minute scene got squeezed down to 12 seconds. In the second preview, we put some pieces of it back, and it was 23 seconds. And then the third preview, it got a complete recut, and we chose new performances, especially on De Niro, and they were kind of a gentler Bob. What David had said he was looking for was Bob’s anguish at seeing his son so manic, as opposed to his anger at not taking the medication. So in the third preview, all the dialogue about “Take your medication,” “I don’t need my medication” was all taken out, and it simply became about “Don’t behave this way,” and it was really about the character’s pain at seeing his son in this fashion. And then that version got recut again for the seventh preview, and then the final cut of the scene was done in July. Struthers: As Jay says, we went for the most intense, full-on Robert De Niro amazing performance first. And then we realized this was too much too soon for this film. We couldn’t peak this early and build up to crescendos that were gonna come later. That’s why we initially overreacted by pulling it back to almost nothing, before coming back to the kind of Goldilocks scene that we arrived at, which did what it was meant to. Cassidy: Also, when we looked at the scenes before it, we realized that before Pat’s run, they had argued already about taking the medication, so if you left all of Bob’s protesting in about “Taking your medication,” it almost felt redundant. I remember when we changed the takes, it was like, “Oh, we’re looking for this thing on Bob that’s the pain of it,” and there was one take in particular. Pieces of that take had been used, but only when you took out the other material, the “Take your medication, take your medication,” could you see what De Niro was doing. Fantastic. The tonal balancing act was also at the center of Argo, and never more delicate than in the sequence when Alan Arkin’s character organizes a read-through of the fake hit Argo at the Beverly Hilton. Goldenberg: It’s a microcosm of the whole movie in a way, because we’re combining all these different tones in this three-minute sequence: the read-through of the fake script, which is with these actors in silly costumes saying kind of cheesy dialogue; combined with a mock execution with the hostages in the Embassy; combined with what our houseguests are doing; combined with stock footage of newscasters at the time. I always felt when I read the script — and I think Ben and [Oscar-nominated screenwriter] Chris Terrio felt the same way — that if we could make that sequence work in terms of mixing all these tones, then it was indicative of how it could work for the whole movie. I did it over and over and over again until it felt right, moving things around — some things were subtle, some things were big moves like switching sections to not juxtapose anything silly with anything incredibly dramatic and life-threatening. I remember looking at it at some points while I was first cutting it and thinking I had it really good, and then looking at it and going, “I hate this. It’s not working at all.” And then I’d work on it some more. From the point where I hated it to where I loved it, it was a matter of just subtle adjustments. It really does show the subtlety of editing and how little things can upset the whole thing. Michael Mann [for whom Goldenberg cut Heat, The Insider, Ali, and Miami Vice] always referred to it as mercury: you gather it up and then one little part moves off to the side. That’s kinda how you feel when you’re cutting, especially something very sensitive like a lot of the scenes in Argo, where it was so easy to go sideways and mess it up. 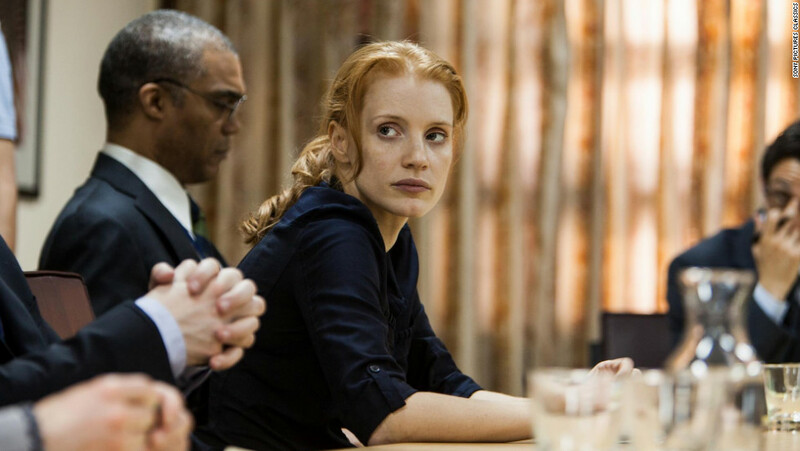 The hard line Bigelow drew for the tone of Zero Dark Thirty is, perhaps, best explained in the sequences she didn’t use. Tichenor: She only reacts to things when they feel real to her. I mean, there are scenes cut out of the movie and they were expensive, and they took a long time to shoot, but it just wasn’t part of the movie for her. One of the very early sequences involves Ammar, our detainee played by Reda Kateb, who did so well in the movie. There was a whole sequence where Daniel, Jason Clarke’s character, goes in with a local ISI team, and on a tip, they’ve infiltrated this little town and find him in a house and extract him. There was a little action sequence with a little chase through the house and an alley way, and they grab him. Kathryn saw that first cut, and the sequence played really well, quite like a Michael Mann movie, I thought, (Laughs) and she just said, “You know, when I see this, I feel like someone is showing me a movie. I don’t want to feel like I’m watching a movie. Let’s try to do it without it.” And we did, handedly. It made one of the most striking cuts in the movie, actually, to go from the 9/11 montage of sound in the beginning to just the hard cut of the sun streaming through the window in the detainee center and Jason walking in. It’s a stomach-clenching moment. An editor wants to draw the audience into the story and keep them there. Tichenor paraphrases a quote he’s sure others have said, but that stuck with him when he heard it from Goldenberg’s mentor, Michael Kahn, who’s won three Oscars and is nominated again this year for Lincoln: Editing is often trying to find the least amount of material to effectively tell the story. “Audiences will react, even unconsciously, very badly to repetitive information. If they feel like, ‘Yeah, I got that already, you don’t need to show that to me again,’ then they start to get shifty, or bored, or you lose the tension that you’ve gained up to that point,” Tichenor says. Goldenberg: What gave me the idea was when Ben Affleck’s character comes into Tehran [earlier in the film], he’s at passport check-in and there’s a little skirmish off to his left. Some guy gets hauled away by the police, and then they stamp his passport, and I made the sound of that passport stamp a little bit accentuated. He’d gotten a little distracted, so it snapped him back to attention, and he clears passport control. When they went through that check point on the way out, I thought it would create a whole different level of tension to slowly drop the sound out. I used this sort of tonal temporary music that had this droning heartbeat feel to it. All the characters were so convincing at looking scared, so I had great shots to cut to and cut away from. I think when you’re super nervous like that, your heart is beating out of your chest and you’re trying not to give that away. It’s not the first time anybody has ever done it in a movie, but dropping the sound out subtly really gets you in each character’s mindset and feeling how terrified they were. Then I used that sound again of the passport stamp to snap everybody back out and bring all the real sounds back. [Argo’s Oscar-nominated sound mixing team] was able to take what I did in my Avid, and just make it even better. Instead of a small editing room, it’s got to fill a big theater, so they were able to take that idea and really just make it even more impactful. The scene Squyres points to is when Pi gets the stick and tries to train Richard Parker. Squyres: We had a sense of what their interaction was going to consist of with the stick and the meat, but rather than animating what we thought the tiger might do, we figured we would work with real tigers and let them show us things. We shot about 4.5 hours worth of footage with real tigers on a boat. Now the boat was not in the water, the boat was on a gimbal, the thing that rocks it to simulate water. As our tiger trainer said, “Tigers don’t act. Tigers just behave like tigers.” They gave us all kinds of interesting behaviors, some of which was great reference for the animators, some of which really informed our thinking about what their interaction would be. There’s a shot in that scene where the tiger sharpens his claws on the bench. We never planned that, that’s just what the tiger did. And according to the tiger trainer, that’s a nervous tiger trying to pretend he’s not nervous. So I got all this footage, went through it myself, and then the tiger trainer came in with me for a couple of days and we structured out some possibilities for how the scene could work. Ang came in, and we presented that and figured out what their interaction was going to be. Three weeks after we shot the tigers, we shot the part with our actor, because at that point, he knew, and the animation supervisor knew, exactly what the scene was going to consist of. There are 23 used shots in the film with real tigers, 10 of them in that scene.